Goalkeeper knee pants for adults. Side padding in EVA. 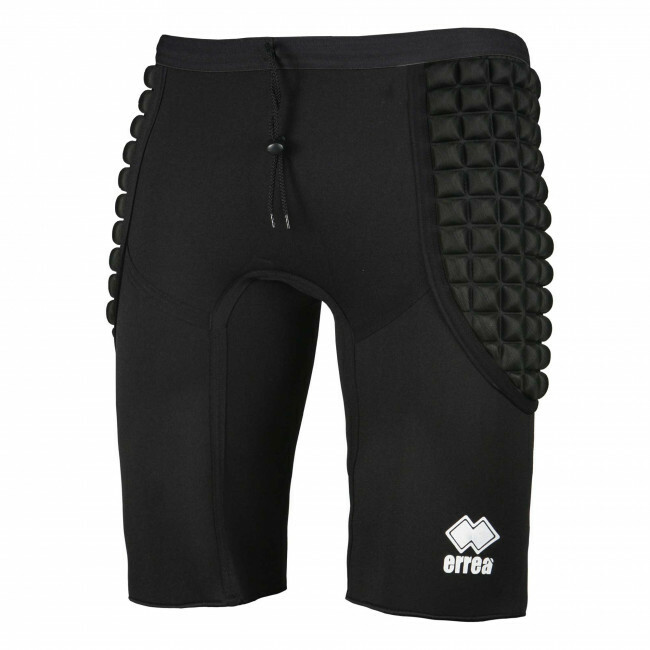 Highly technical knee pants, specially designed for goalkeepers. Suitable for any sport, for training and competitions. Highly protective. The goalkeeper's role is fundamental: the forwards, the defenders and the middle fielders can give their best, but if the goalkeeper does not intercept the opponents' shots, the result can never be sure. This is why we took special care and attention in designing the Cayman shorts by Erreà, specifically conceived for goalkeepers and made of a highly technical material. These goalkeeper stretch pants are extremely soft and padded, to allow you to launch yourself confidently to block even the most powerful shots. Suitable for training or for matches: in whatever situation you shall be free to launch yourself at the ball without fearing impact.